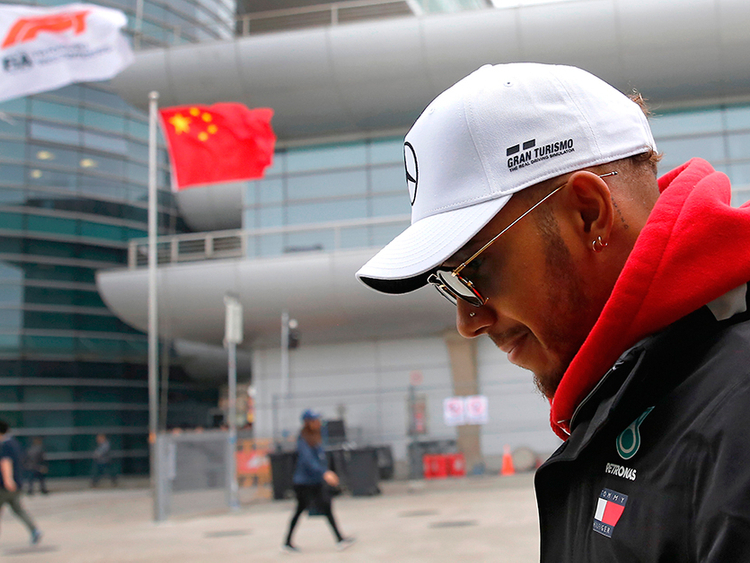 Baku: The Azerbaijan Grand Prix has a lot to live up to this weekend and Formula One world champion Lewis Hamilton has plenty to think about as well. Baku dished up a crazy thriller of a race last season, with Red Bull’s Daniel Ricciardo winning after Ferrari’s Sebastian Vettel famously succumbed to road rage and clashed with Mercedes’ Hamilton. The Force India pair collided, Canadian Lance Stroll made it to the podium for Williams but was pipped at the line for second by Mercedes’ Valtteri Bottas, who also had a coming together with Ferrari’s Kimi Raikkonen. The most exciting race of last year, with the safety car driver kept busy, had been the most boring on its debut a season earlier. Fans, Formula One’s owners, struggling Williams and the ever-smiling Ricciardo in particular will be hoping that the 2017 sort of lightning strikes twice, even if Ferrari and Mercedes would rather it didn’t. Hamilton, on pole position last year when the race was held in the much hotter month of June, is still chasing his first win of a campaign that is well on the way to becoming a classic. Nine points adrift of championship leader Vettel, he complained in China two weekends ago of being in ‘no-man’s-land’. The ultra-long Baku straight could favour Ferrari, with Vettel aiming to make up for the disappointment of finishing eighth in Shanghai after winning the first two races in Australia and Bahrain. Mercedes, without a win in three races for the first time since the V6 turbo hybrid era started in 2014, will need to get their tyres working properly and can take nothing for granted. “We know that we have a massive challenge on our hands,” said team boss Toto Wolff. “Last year, we were in a tough fight with Ferrari. However, it was nothing compared to the intensity of this year’s battle. “Last year’s race threw up a podium that nobody could have predicted and, as is the way with street courses, we can once again expect the unexpected.” Ricciardo, winner in China after a safety car period fell into Red Bull’s lap, is on a high and Baku rewards the brave overtaking moves he is known for. “Baku is different to other street circuits, because there are places where you can pass. Actually, lots of places where you can pass,” said the Australian. Force India were heading for the podium last year when Sergio Perez and Esteban Ocon collided, and the two now have a very clear understanding of what is expected. Williams, whose podium was the only one by a team outside the top three, meanwhile return to Baku as the only ones yet to score a point in 2018. “For Lance it would be bold to expect another podium but he should perform well given his significant achievements in Baku last year,” said technical head Paddy Lowe.